To Know What Happen to These Sorority Sisters Spare Your Time & Day at 9:30pm on 1st Oct to Cathay Cineplex, Damansara. Remember to bring along your Token & SMS Reply, then come early (8:30pm onwards) to redeem tickets. *NOTE: This Film is Yet to Be Rated. In The Event of An 18 Rating. The Cinema Reserves The Right Not To Admit Anyone Below The Age of 18. Apa kegunaannya kupon dalam Grafik Novel GEMPAK STARZ??? Sebenarnya, kupon tersebut digunakan untuk menukar barangan GEMPAK STARZ yang anda minati. Sila dapatkan BORANG PENUKARAN BARANGAN dalam majalah Gempak, Utopia atau Comic King dari isu Ogos hingga isu Disember (perhatian: bukan dalam setiap isu). Anda juga boleh mendapat borang tersebut melalui www.gempakstarz.com. After illustration book by Puppeteer(Verge) and Puyuh(Astro Cityzen), end of this year, at 100% GEMPAK STARZ event, we will have a brand new illustration book by Kaoru. 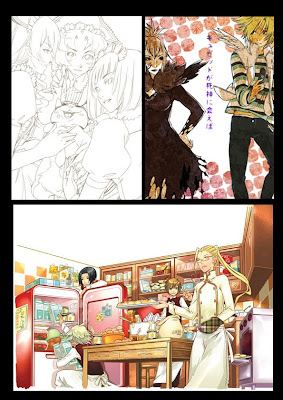 This yet to be title illustration book is a compilation of covers, posters, black & white pin-up and color illustrations done by Kaoru from 2004 to 2009, to thanks her fans for supporting her all these years, Kaoru included some of her never before seen illustrations into this collection. 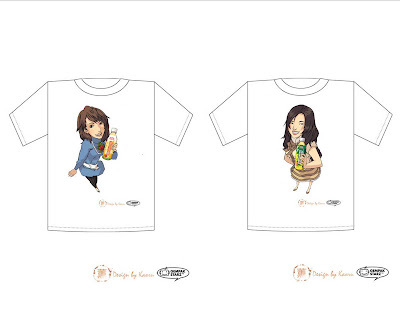 So, don't forget to join us on the 21st November at Sungai Wang to grab this illustration book! Hung Fook Tung, a no. 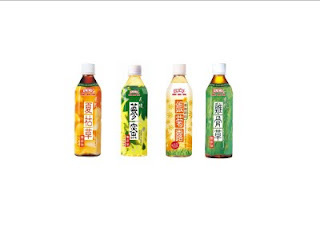 1 sale in Hong Kong, launched its famous herbal tea on 28th August in Malaysia. 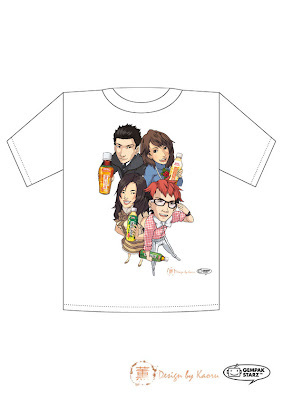 GEMPAK STARZ™ had been invited to draw the comic characters of its ambassadors, the renown Malaysia Chinese radios' DJs, Cheryl (988), Phoebe (MY FM), Royce (MY FM) & Jeff (one FM) in the T-shirt that absolutely for Hung Fook Tong’s Launching and Road Shows. 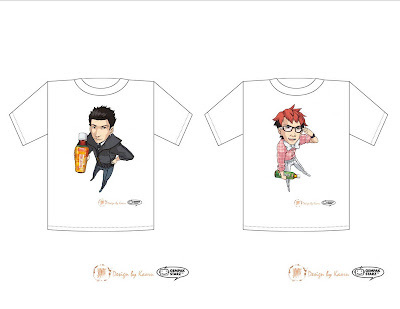 To accomplish the exclusive T-shirt's comic characters with our profession, we present the first female comic artist in Malaysia, Kaoru, who known for her attractive manga-influenced style, to draw the comic characters of Hung Fook Tong's ambassadors in the exclusive T-shirt.